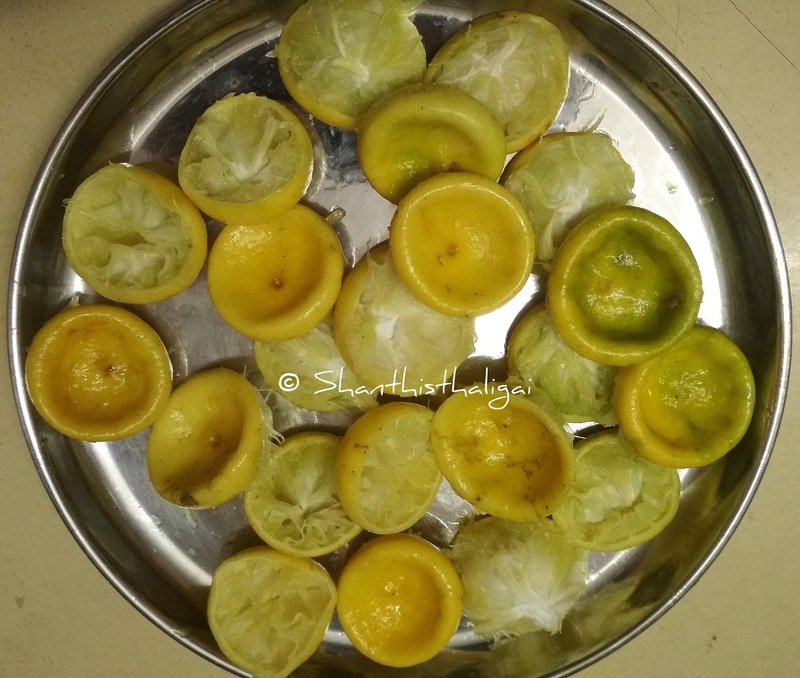 I had lot of lemon peels left, after making green peppercorn pickle. Instead of wasting the lemon peels, I thought of making this thokku. 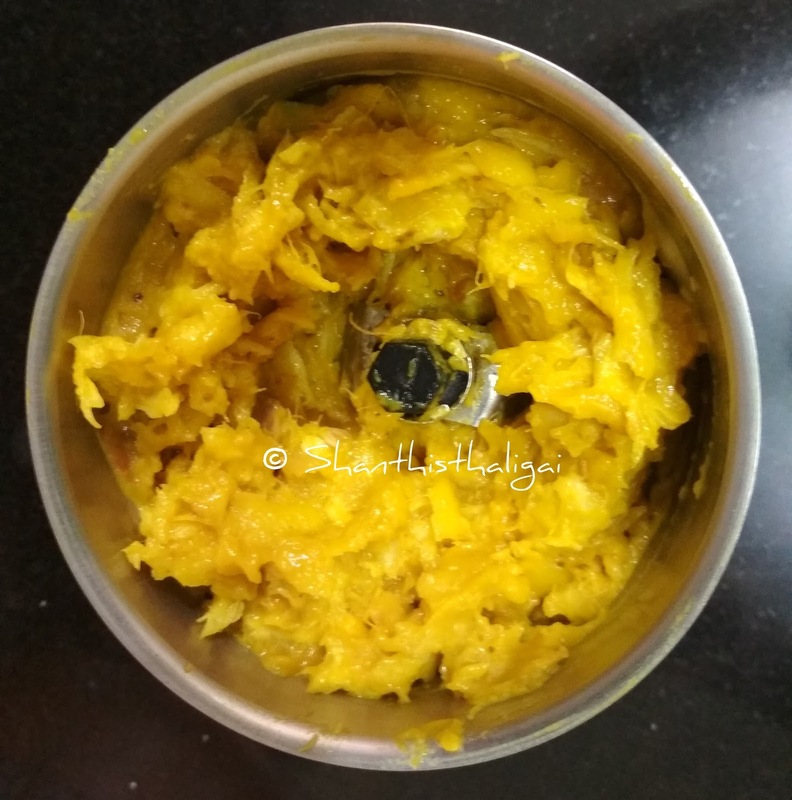 This tasted great when mixed with hot steamed rice and ghee. 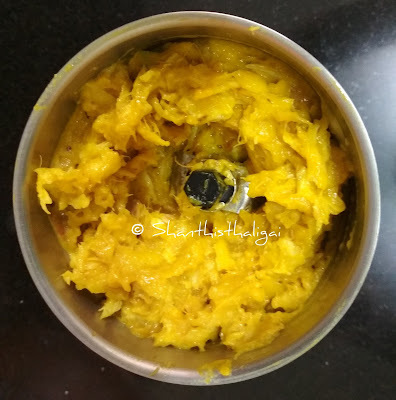 During my childhood days, while cleaning the avakkai or lime pickle jaadi (jar), my grandma used to put some cooked rice into the jar, mix well, put it in a vessel, and she used to serve on our hands with true love and affection. Who would not love this? Made me and my husband remember our childhood days. Chilli powder - 4 tsp. Roasted fenugreek powder - 1/2 tsp. Mustard seeds - 3/4 tsp. Remove the seeds from the peels. Roughly chop the peels. Add water to immerse the peels. Add ginger, hing, tamarind, a teaspoon of salt and turmeric powder to it. Pressure cook for 1 whistle. Once the pressure is down, take out, strain the water in a colander and allow it to cool a bit. Now, coarse grind this in a mixie alongwith remaining salt. Heat oil in a heavy bottomed kadai, add mustard seeds. When they splutter, add the coarsely ground mixture. Add chilli powder, jaggery. Mix well. Cook covered stirring in between. Cook in low flame until the mixture thickens and oil leaves from the sides. Add fenugreek powder and give a quick mix. Switch off the stove, add lemon juice and mix well. This thokku will be ready by the next day. When cool, store in an airtight container. Tastes great when mixed with hot rice or can be used as an accompaniment for curd rice. TIP: As and when you get lemon peels, instead of throwing away, you can cut them, add little salt and store them in a glass/ceramic jar in the fridge. 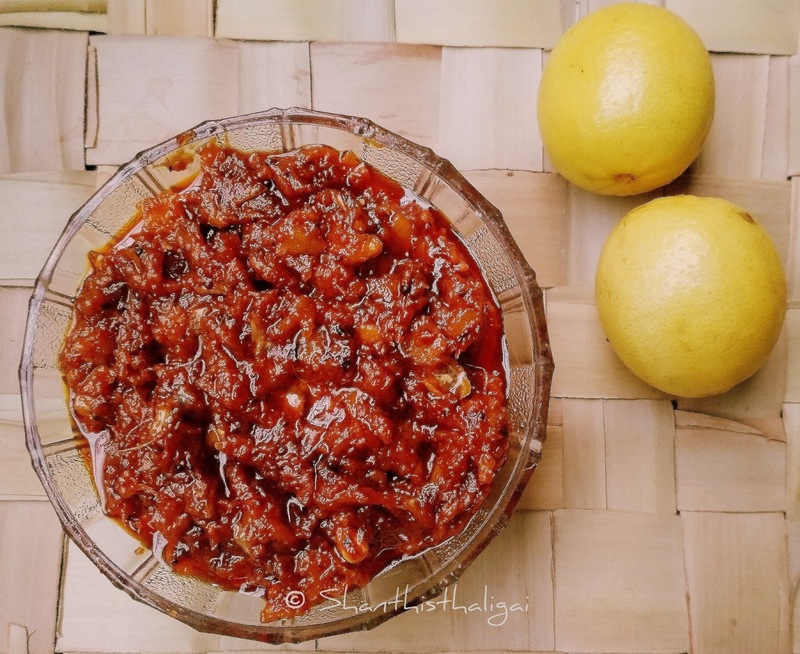 Once the jar is filled with lemon peels and layers of salt, you can prepare this thokku. If using like this, the lemon peels will be soft and you can skip the step of boiling the peels in water. NOTE: Jaggery can be added depending on the bitterness of the peel.